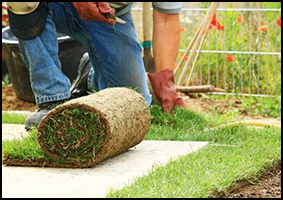 When it comes to sod installation, Mick's Grass & Sod Service Inc. is a great choice. 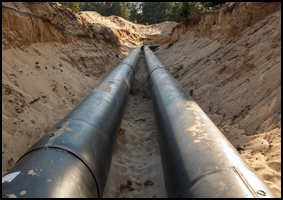 We are proud to serve our customers in the Houston, Texas & surrounding areas, and we strive to deliver excellent customer service on every job. 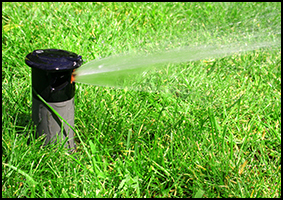 In addition to our sod services, we also install sprinkler systems to keep your lawn looking great. Don't wait any longer to give your yard the fresh new look you've been dreaming of. We cannot wait to serve you! "Needing sod for my new backyard, I Yelped™ and Googled™ different businesses. I came across Mick's... David (the owner) quoted me a good price. He even price matched another offer I had. He delivered and installed the grass the day after Thanksgiving. Great fast customer service! I recommend if you're in need for any landscaping call Mick's!" 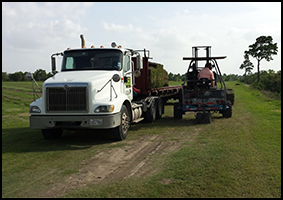 Here at Mick's Grass & Sod Service Inc., we're committed to delivering great services and materials to you, our valued customer. It's important for our customers to know that we only use farm direct grass. All of our grass comes straight from a farm, and we cut and harvest it based on our orders; we never pre-order our grass. 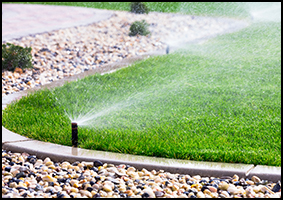 Once we install your new sod, you may want to consider adding a sprinkler system to your property, to keep your new grass healthy and green.